what is inside neer more ? Legend has it that this drink got the “more” part of its name from people constantly saying, “Please may I have some more?” right after consuming the first glass. 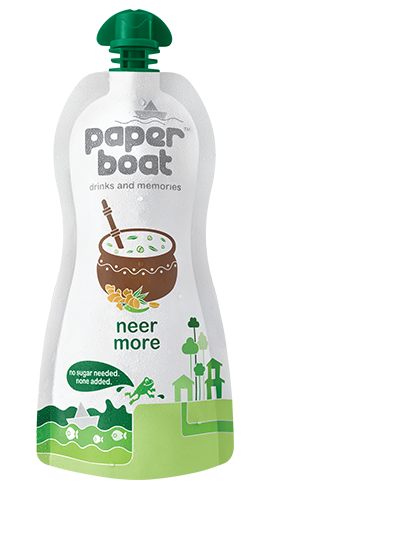 While one of our eager interns runs off to fact-check that, allow us to speedily introduce you to our newest offering, Neer More! Neer More, a name quite Tamil, also sports many other monikers across South India: Majjige, Majjiga, or Sambaram to list the most popular. In the North, it may easily be mistaken for Chaas – but in all fairness, Neer More is its mind-blowing, spicy cousin twice removed. Our intern has also just returned with the rumour that Neer More once went to karate class and today, we feel the effects as a kick of hing and a smack of chillies. Simply put, Neer More is the Rajni-saar of summer drinks. A summer coolant better than an AC (especially the ones that needed water poured into them), a dehydration-fighter like no other, Neer More is also known to bash post-prandial somnolence – a fancy way of saying after-lunch-time-sleepiness, or as the South calls it, taachi – because of its properties of washing down fats after a heavy meal, placating an overloaded tummy, and its ability to improve digestion. Paati will be more than happy seeing you chug this, because it’s a Calcium and B-Vitamin goldmine, and let’s not even get started on the Potassium, Protein, and Antioxidant benefits. And psst! Don’t forget to share it with her – it’s good for her cholesterol too.